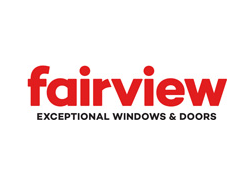 Fairview Lanford specialises in supplying quality aluminium joinery to the greater Wellington area and has been doing so for over 25 years. Custom made joinery to suit all aspects of the demanding New Zealand environment. We cover all your aluminium needs. Call our friendly knowledgeable staff today to discuss your project. Nearly half a century later, we're still proudly owned by that same Kiwi family. And the ingenuity and passion of hundreds of New Zealanders have helped shape and create the exceptional window and door solutions now available across our manufacturer network.